April 28th 1972: Delivered to Stena Ab, Göteborg. July 1st 1972: Sold to Carpass Shipping Co Ltd, London, England for £2.o5m. August 22nd 1972: Chartered to British Railways, Southern Region as a replacement for SHEPPERTON FERRY, she had two sets of railway lines laid on her vehicle deck. August 24th 1972: Arrived at Dover, via Dunkerque, from Norway. 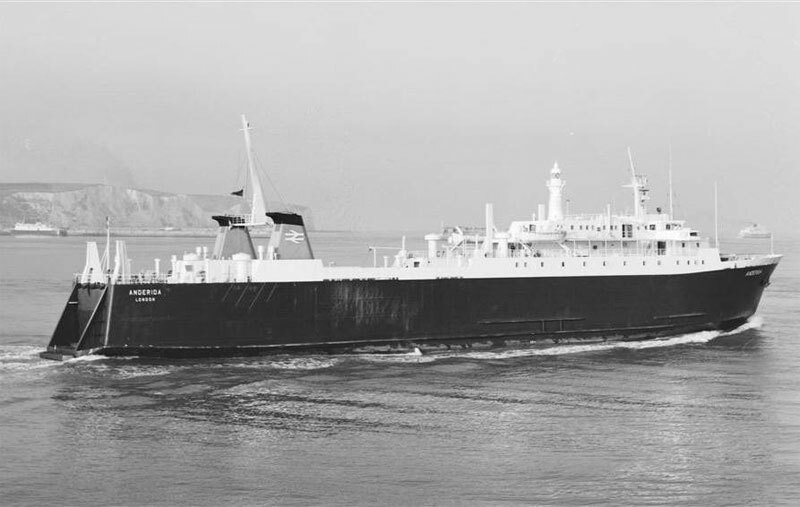 August 27th 1972 (17.30 hrs): Commenced service Dover – Dunkerque. 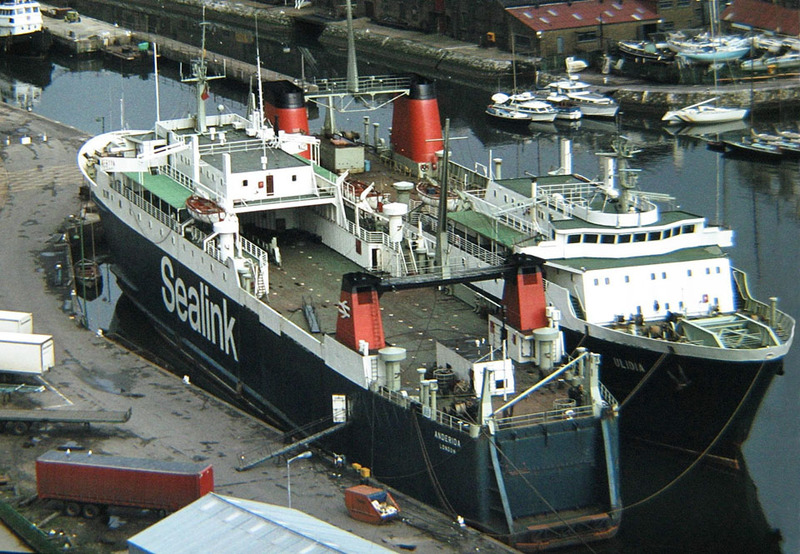 1973: Sealink trading name painted on the hull. 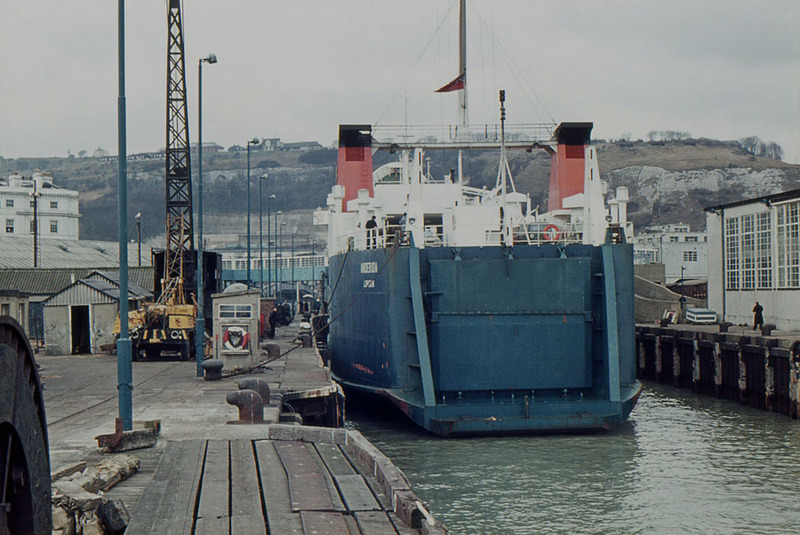 March 3rd 1974 – March 15th 1974: Operated between Stranraer – Larne, then returned to Dover. November 10th 1974: Overhaul period. January 1975: Assisted with “freight cover” at Folkestone. 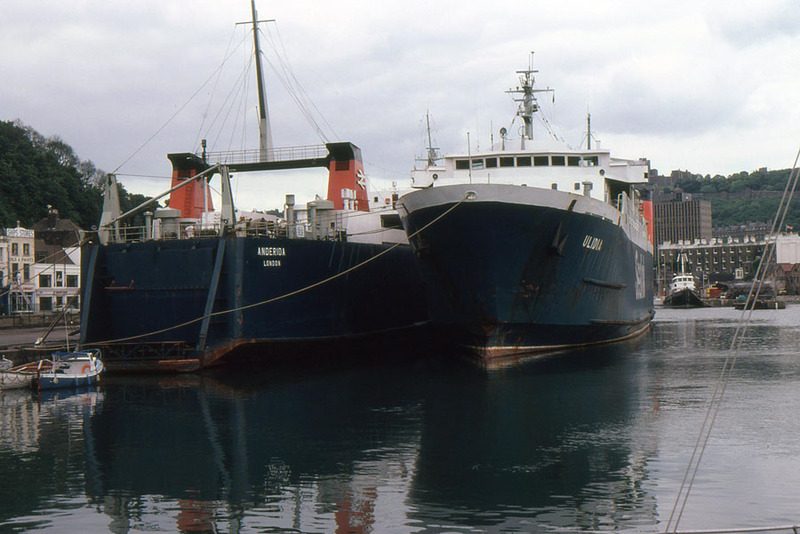 1975: Both ANDERIDA and DALRIADA had new gearboxes fitted, the ANDERIDA had hers fitted at Dover and DALRIADA at Stephen’s Shipyard, Glasgow. The German supplier (Lohmann) admitted that cracks which appeared after delivery on seven ships should be replaced at no cost. 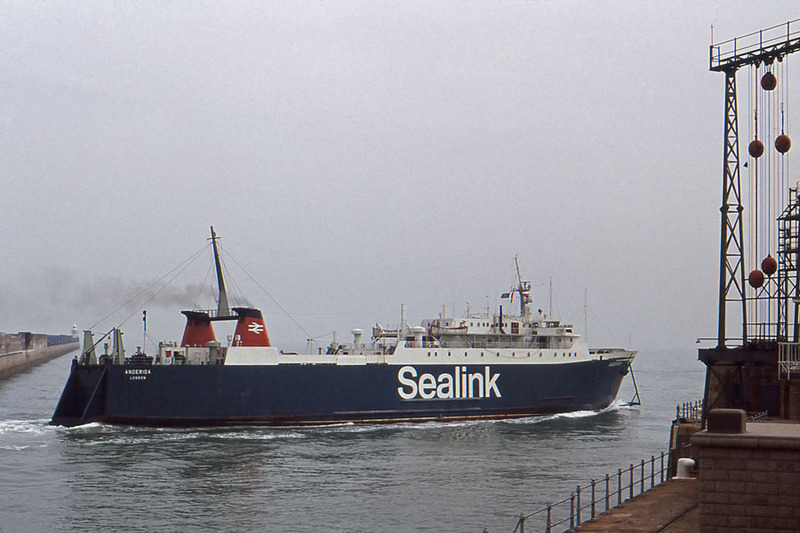 May 1st 1976: Commenced service between Holyhead – Dun Laoghaire. 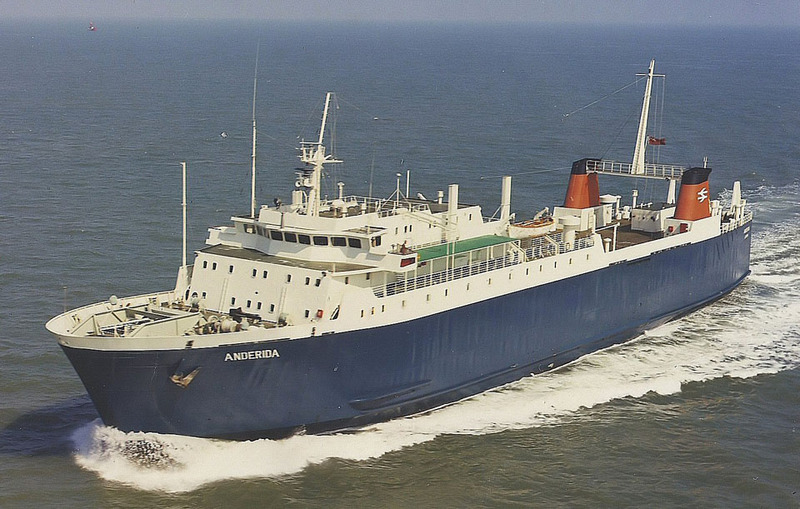 October 26th 1976: Heysham – Belfast to cover for PENDA which had suffered a serious engine room fire, then returning to Dover. 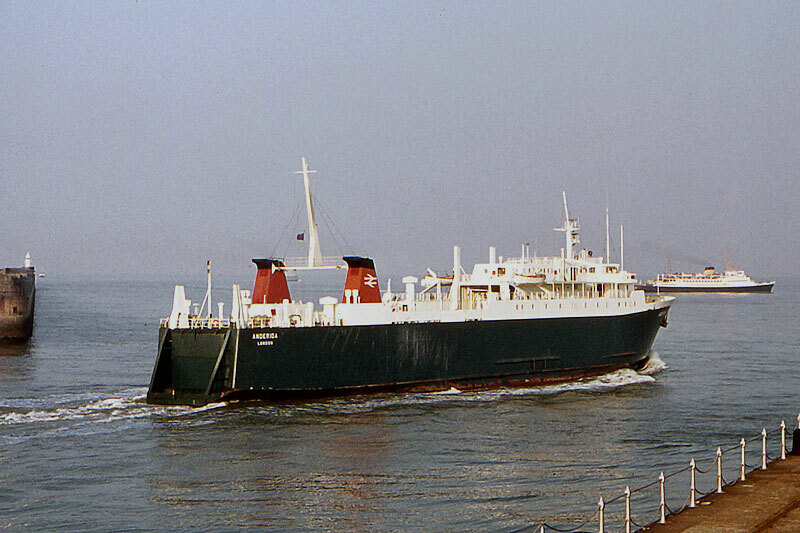 May 1977: Operated between Fishguard – Rosslare, where she ran with DUKE OF LANCASTER, which lacked freight capacity. February 17th 1979: Taken out of service for repair after she suffered an engine room fire, whilst en route from Rosslare. 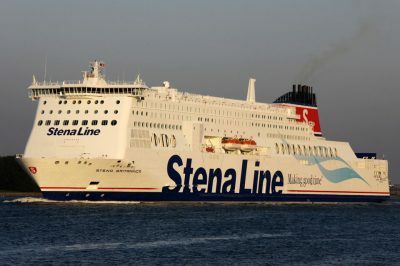 Later resumed Fishguard – Rosslare. 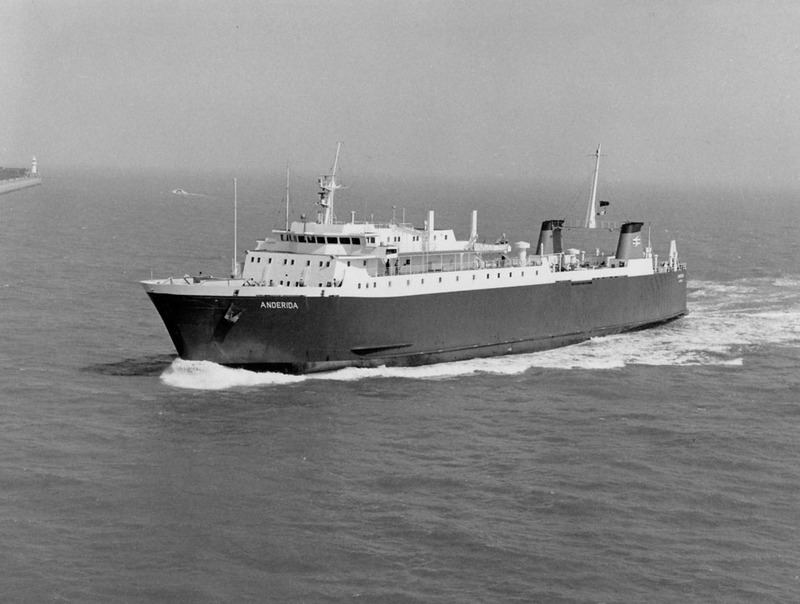 March 12th 1979: Re-entered service after repair. March 14th 1979: Off service for two days with engine trouble. March 31st 1979: Sailed to Avonmouth for extensive repairs. 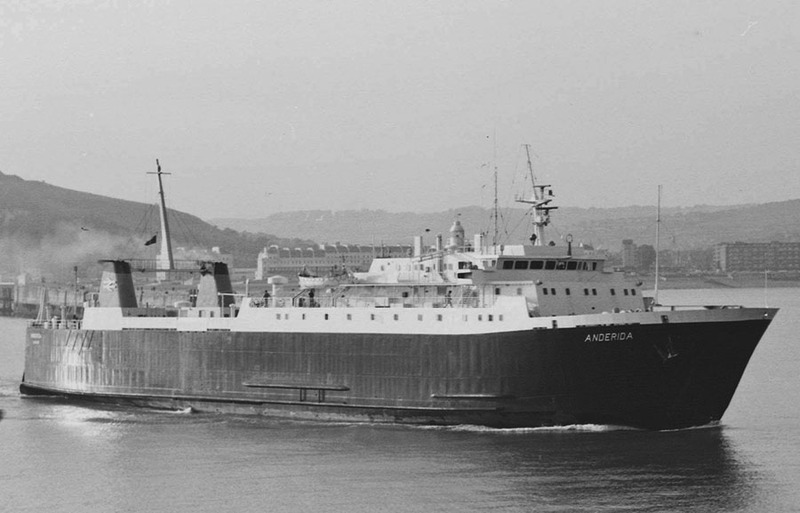 May 1979: After her serious collision ST GERMAIN operated at reduced speed and ANDERIDA was sent to Dover to assist. 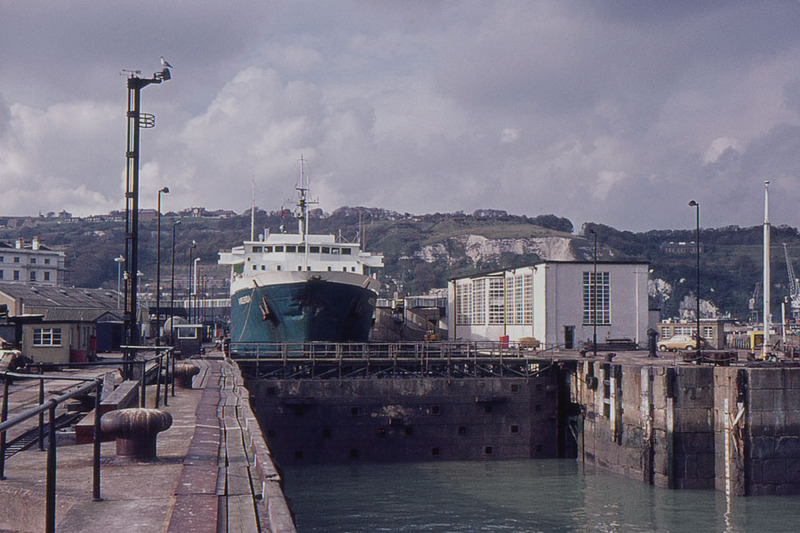 December 1980: Laid up in Wellington Dock, Dover, but held in reserve for the Dover – Dunkirk route. She was joined by her sister ULIDIA in April 1981. 1981 (early): Reactivated to cover for CHARTRES, which was delayed in returning from dry dock. January 18th 1981: Reactivated to cover for VORTIGERN (fire damage), but returned on 19th owing to limited traffic and threatened NUS strike. 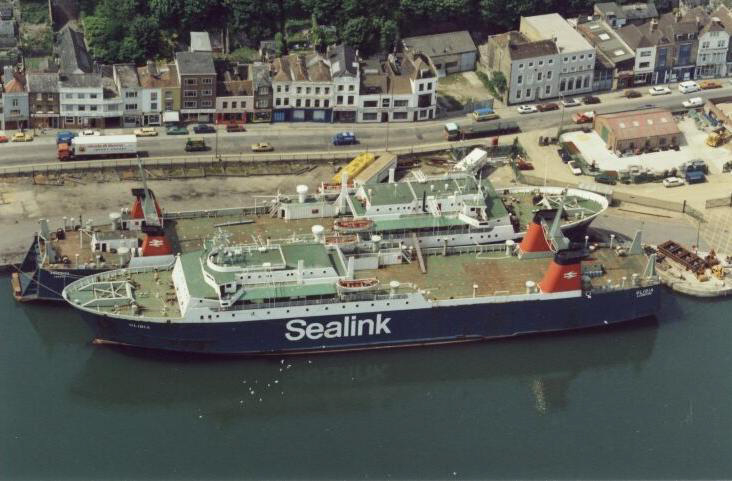 February 7th 1981: Planned to move her to Newhaven, but officers refused fearing Sealink would sell the vessel. October 30th 1981: Sold to Covenant Shipping Inc (Manta Line Inc), Monrovia, Liberia for $1,365,000. (Registered in Greece, home port Piraeus). Renamed TRUCK TRADER. November 2nd 1981: Left Dover for Greece. September 10th 1984: Laid up in Greece. 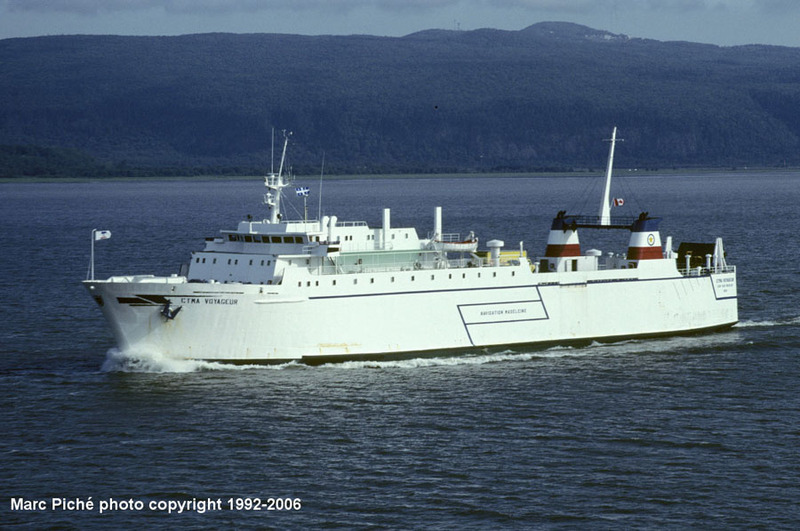 December 3rd 1984: Sold to South Pacific Navigation Ltd., Wellington, New Zealand. 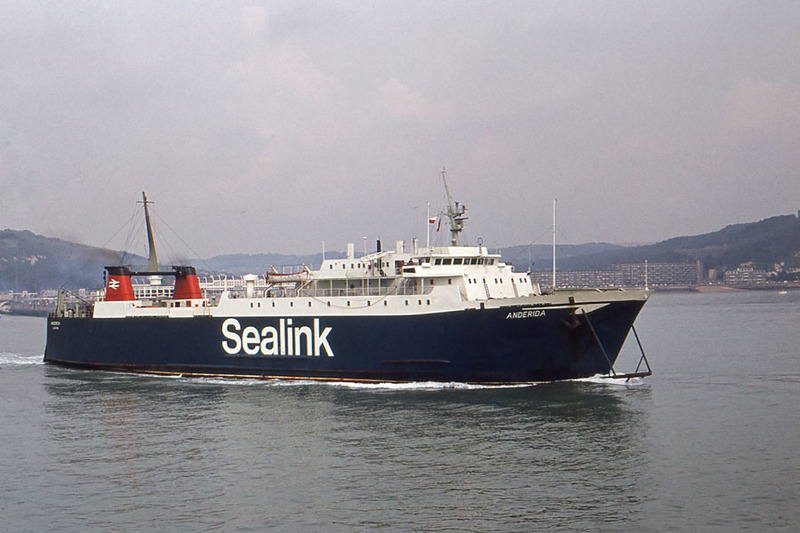 Renamed SEALINK. December 3rd 1984: Left Piraeus for Wellington, and during the journey she suffered engine problems. April 17th 1985: Arrived in Wellington. August 20th 1986: Left Wellington for Piraeus via Singapore. October 31st 1986: Laid up in Piraeus. 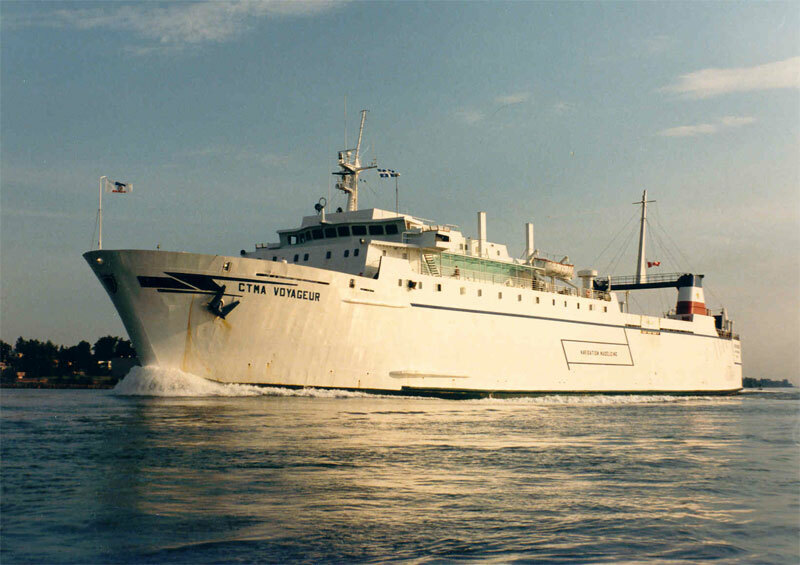 December 4th 1986: Sold to Cooperative de Transport Maritime et Aerien, Cap-aux-Meules, Canada. Departed for Canada. 1987: Commenced service between Montreal – Cap-aux-Meules. June 2002: Commenced services between Prince Edward Island – Îles-de-la-Madeleine. 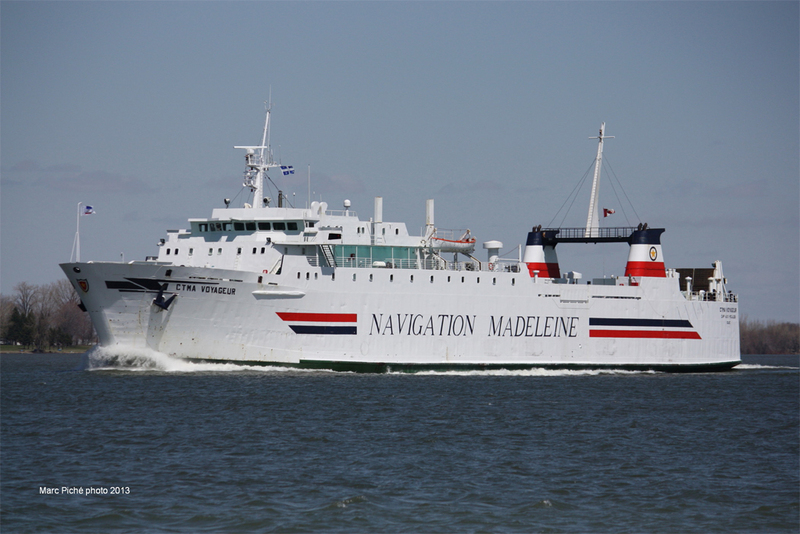 2002 (autumn): Operated between Montreal – Cap-aux-Meules. 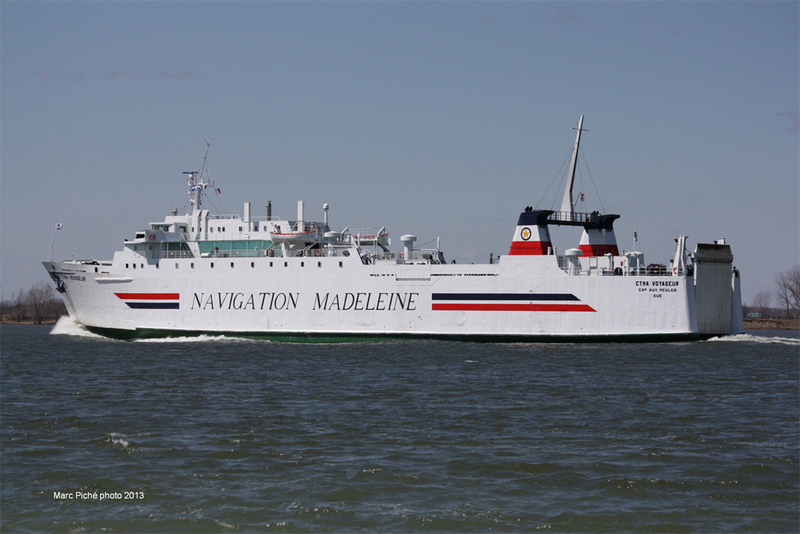 2018: Remains in service with Coopérative de Transport Maritime et Aérien (CTMA) on the Matane – Cap-aux-Meules route. All information is believed to be correct and no responsibility is accepted for any errors or omissions found. All items included in this article are subject to © copyright. We would like to take this opportunity of thanking: Ted Ingham, A G Jones, Ken Larwood, William MacDonald and Marc Piché for their assistance in compiling this feature. A special thanks goes to Jim Ashby. 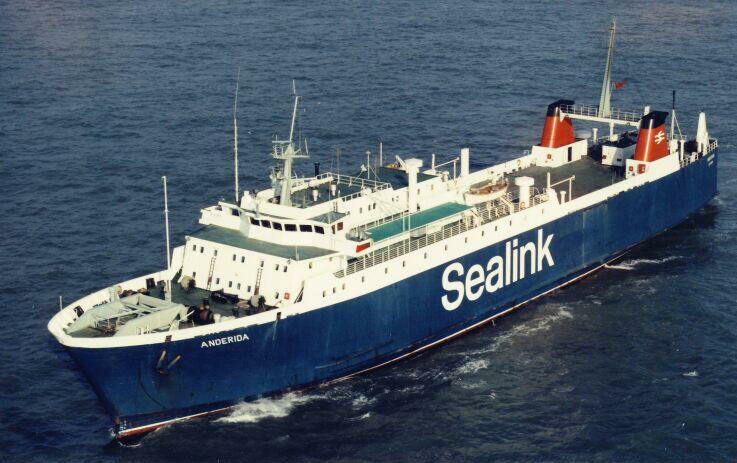 I was 2nd mate on the Anderida when I joined Sealink in October 1972 after getting my Masters FG at Warsash. The following Summer season I was transfered to the Car Ferry Dover. 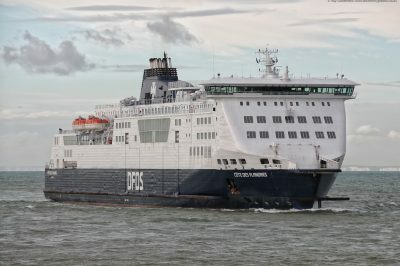 After getting my pilotage for Dover was briefly training in the Anderida to be Master but more senior Chief officers finally got their Pilotage and I was moved on. My step-father, Tom Warren, was an engineer on the Anderida, and died in 1974 as a result of an accident on board. He fell from a lifeboat.